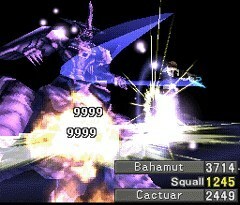 Any hit that reaches the damage Cap is massive enough, and this attack hits around a dozen times. The enemy is vulnerable! Strike their weakpoint for massive damage! Named for Sony's E3 2006 presentation, where these tropes are best used against a Giant Enemy Crab with Real-Time Weapon Change.